I often fear for my sanity to such extreme degrees that my innate fear of death equals my fear for being alive. In such moments I look up at the heavens and remind myself that I am an infinitesimal being in a vast, untapped universe full of mysteries -possibly finite yet impossibly overwhelming. Then I look at myself in a mirror, and I am reminded that I too am plagued by the quintessential human problem, that of hope, and it being both the greatest human strength and the greatest human weakness. And after all that, I look at my hand, and marvel at how perfectly a cold bottle of beer fits in its palm. But enough of that existential crap. 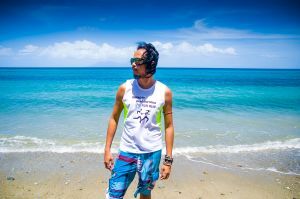 My name is Hendrix Audrim and I’m a Filipino Digital Marketing Specialist and Photographer currently living in Boracay Island, Philippines. I have been a digital marketing specialist for over 8 years now. Though I started as a content writer, I quickly learned that content alone does not make any business earn money. Thus I applied myself to learning all other aspects of online marketing with the goal of providing holistic solutions for future clients. Since then I’ve learned website creation and management, graphics creation, Search Engine Optimization, paid advertising, E-mail marketing, E-commerce marketing, content marketing, and social media marketing. I did not, however, try to master all these because I already knew that my forte lies more in creating campaigns that combine these tactics for better ROI. Success City Online (Las Vegas, Nevada, USA) – Website maintenance and updates for several of their clients. Clients included real estate agents, law firms, medical practitioners, tourism services providers, home improvement services providers, and political organizations. Virtual Biznest (Cebu City, Cebu, Philippines) – Digital marketing setup and consultation services. Appleby Media (Ontario, Canada) – Various digital marketing tasks for several of their clients that included auditing, strategy creation, SEO, SEM (Google and Facebook ads), social media marketing, website design and maintenance, server troubleshooting, email marketing, and graphics design. Innov8v Marketing (Texas, USA) – Strategy creation, social media setup and updating, and graphics design. Viral Gadgets Shop (USA) – E-commerce, Facebook ads, and marketing research. Sky View Las Vegas (Las Vegas, Nevada, USA) – Website redesign and graphics design. Outside Drones (Las Vegas, Nevada, USA) – Website maintenance. Funeral Links (Philippines) – Digital marketing audit and implementation. Tuklas Northern Luzon (Philippines) – Photography services and coffee table book layout and design.